„When I eat, it is an experience that is extremely individual. But by eating together with others, I situate my experience within a space that is very much collective – the meal, the act of eating together, the shared conversation. (…) Just as I can never be entirely certain that the color I call blue is the same blue for everyone else on the planet, taste is relative. What we have in common is that we are different.“ Olafur Eliasson „(At the Institut für Raumexperimente) eating together is something meticulously choreographed to allow the unplanned to take place. The eating experiments are interior to the content of the teaching experiments. Content is seeded, not handed out like a preprocessed meal. The experiments are designed so that as they grow, branches which are not predesigned can design themselves. The informal can emerge. 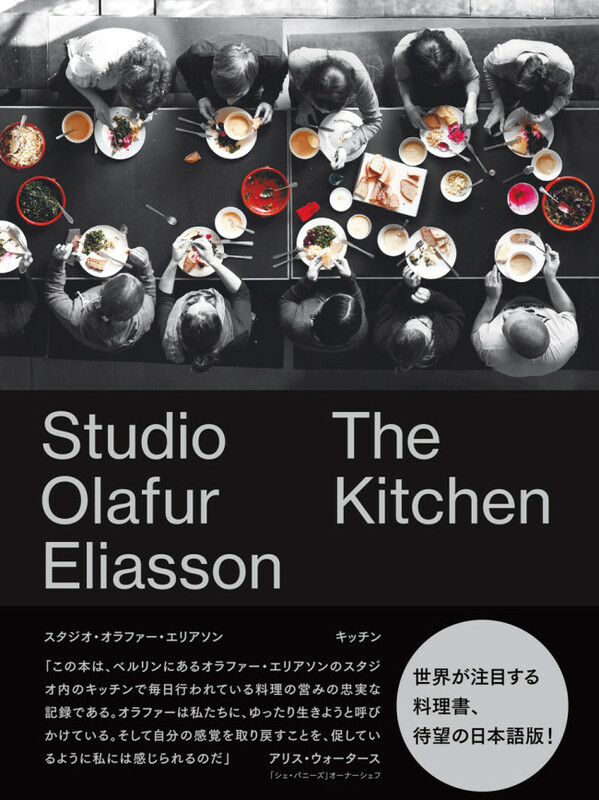 Breaking bread together helps the institute think about what we are serving each other in terms of learning, health, feelings, ideas, critique, art.“ Eric Ellingsen & Christina Werner Phaidon is publishing Studio Olafur Eliasson: The Kitchen in Japanese. 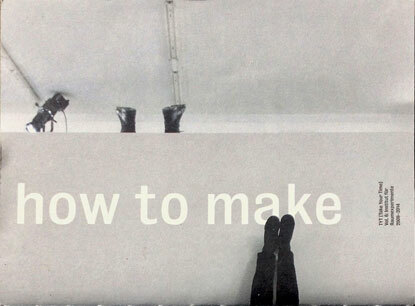 The extended artist’s book and cookbook that focuses on the studio’s kitchen – its work, research, and experiments – is based on the studio publication TYT [Take Your Time], Vol. 5: The Kitchen. 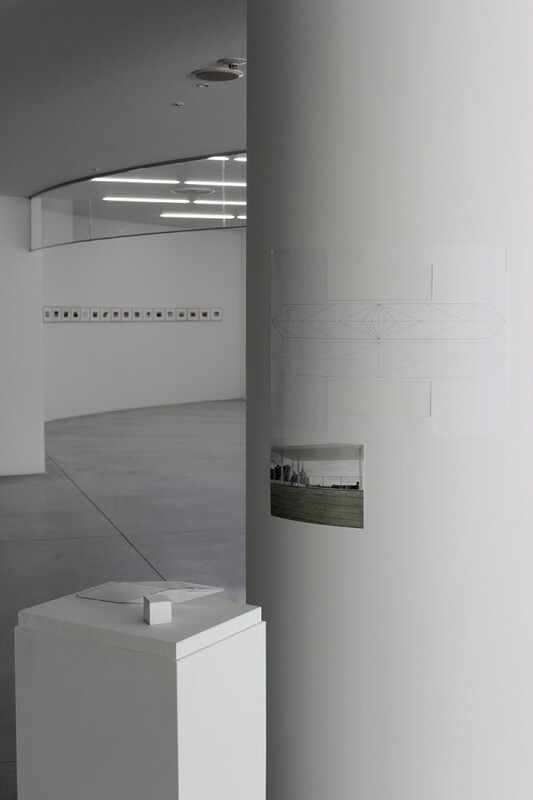 Since the work and food thinking of the kitchen team are closely connected with the projects, symposia, workshops, openings, and events at the studio as well as the Institut für Raumexperimente and the studio’s project space Grey Sheep, the book is a portrait of the studio seen from the perspective of the kitchen. Along with over 100 vegetarian recipes, the book provides insight into the daily life of the studio with the kitchen at its heart, and documents a wide range of workshops, food experiments, and selected exhibitions. For availability check here. For information on the English version check here. „When I eat, it is an experience that is extremely individual. But by eating together with others, I situate my experience within a space that is very much collective – the meal, the act of eating together, the shared conversation. (…) Just as I can never be entirely certain that the color I call blue is the same blue for everyone else on the planet, taste is relative. What we have in common is that we are different.“ Olafur Eliasson „(At the Institut für Raumexperimente) eating together is something meticulously choreographed to allow the unplanned to take place. The eating experiments are interior to the content of the teaching experiments. Content is seeded, not handed out like a preprocessed meal. The experiments are designed so that as they grow, branches which are not predesigned can design themselves. The informal can emerge. 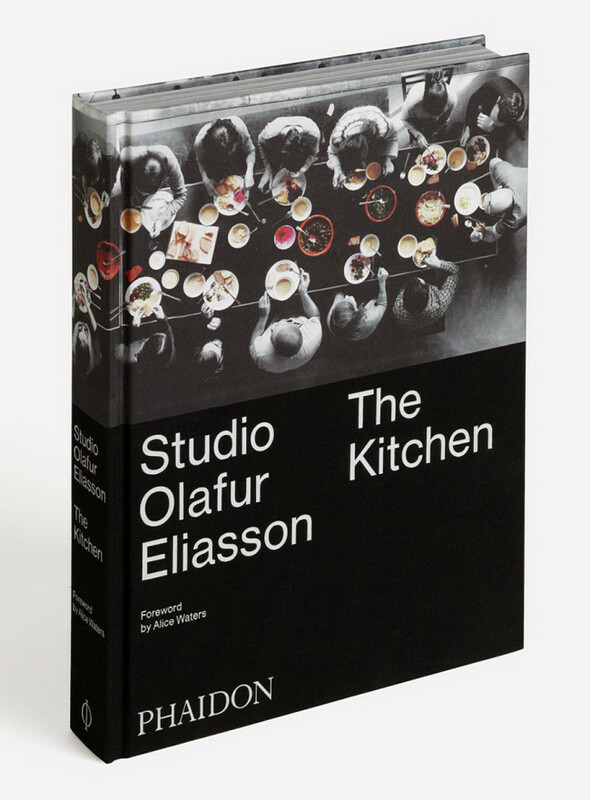 Breaking bread together helps the institute think about what we are serving each other in terms of learning, health, feelings, ideas, critique, art.“ Eric Ellingsen & Christina Werner Phaidon is publishing Studio Olafur Eliasson: The Kitchen in Japanese. 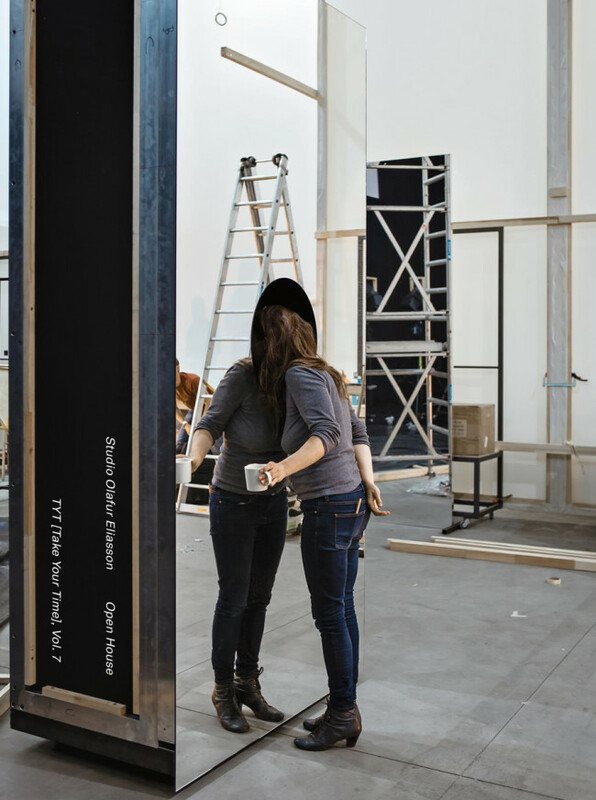 The extended artist’s book and cookbook that focuses on the studio’s kitchen – its work, research, and experiments – is based on the studio publication TYT [Take Your Time], Vol. 5: The Kitchen. 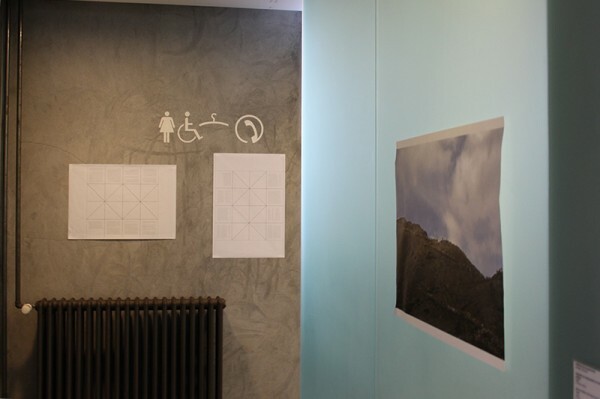 Since the work and food thinking of the kitchen team are closely connected with the projects, symposia, workshops, openings, and events at the studio as well as the Institut für Raumexperimente and the studio’s project space Grey Sheep, the book is a portrait of the studio seen from the perspective of the kitchen. Along with over 100 vegetarian recipes, the book provides insight into the daily life of the studio with the kitchen at its heart, and documents a wide range of workshops, food experiments, and selected exhibitions. For availability check here. For information on the English version check here. 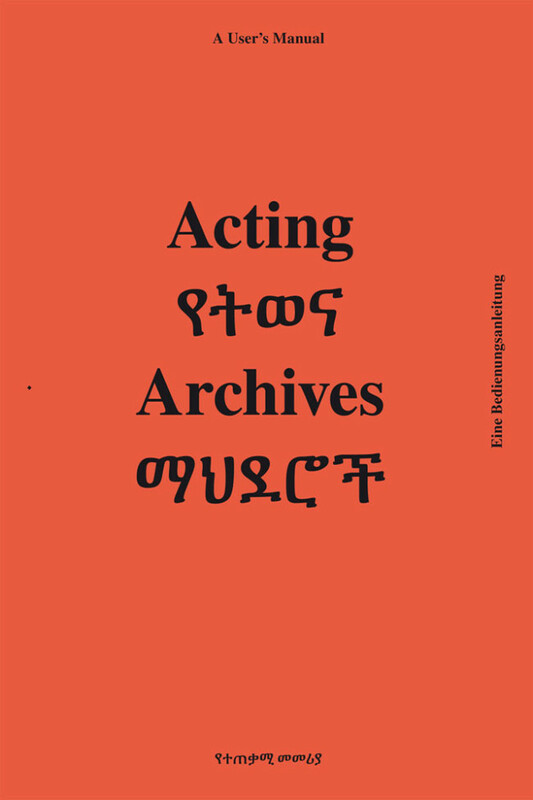 Acting Archives – A User’s Manual serves as a short guide through the collected audiovisual material of the collaboration between the Institut für Raumexperimente, Berlin University of the Arts and the Alle School of Fine Arts and Design, Addis Ababa University. The documented events range from artist talks, short presentations in the marathon format and lectures, to exhibitions, poetry events, translation exercises and selected essays. 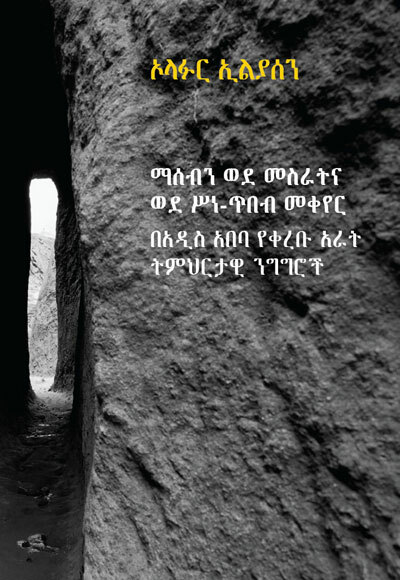 Translated into English, Amharic and German, the entries facilitate the navigation through the accumulated material and encourage multiple connections and cross-readings both within and outside this archive. 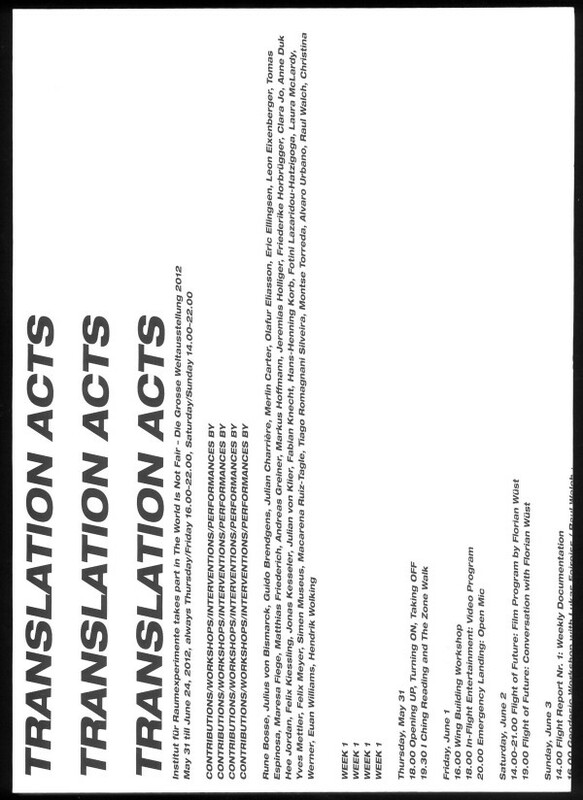 Editors: Christina Werner, Fotini Lazaridou-Hatzigoga; Graphic Design: BASICS09; Publisher: Institut für Raumexperimente, UdK Berlin; Languages: Amharic / English / German; Extent: 360 pages — Acting Archives is a project by the Institut für Raumexperimente, Berlin University of the Arts and the Alle School of Fine Arts and Design, Addis Ababa University, supported by Studio Olafur Eliasson, and funded by the TURN Fund of the German Federal Cultural Foundation. Acting Archives — Eine Bedienungsanleitung versteht sich als Kurzführer durch das gesammelte audiovisuelle Material der Kooperation zwischen dem Institut für Raumexperimente, UdK Berlin und der Alle School of Fine Arts and Design, Addis Ababa University. Die dokumentierten Veranstaltungen reichen von Künstlergesprächen, Kurzpräsentationen im Marathonformat und Vorlesungen bis hin zu Ausstellungen, Poetry-Veranstaltungen, Übersetzungsübungen und ausgewählten Essays. Übersetzt ins Englische, Amharische und Deutsche ermutigen die Einträge dazu, die sich das Videoarchiv selbständig zu erschließen und verschiedenen Lesarten innerhalb und außerhalb des Archivs zu folgen. Redaktion/Lektorat: Christina Werner, Fotini Lazaridou-Hatzigoga; Grafikdesign: BASICS09; Herausgeber: Institut für Raumexperimente, UdK Berlin; Sprachen: Amharrisch / Englisch / Deutsch; Umfang: 360 Seiten — Acting Archives ist ein Projekt des Instituts für Raumexperimente der Universität der Künste Berlin und der Alle School of Fine Arts and Design, Addis Ababa University, unterstützt durch Studio Olafur Eliasson, gefördert im Fonds TURN der Kulturstiftung des Bundes. 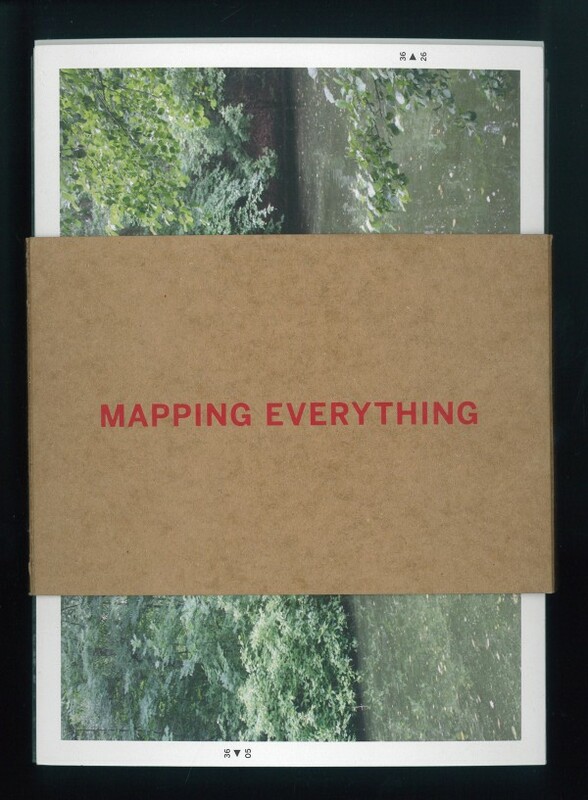 The four lectures in this book were delivered by Olafur Eliasson in Addis Ababa, Ethiopia, in November and December of 2012, for an audience consisting of students from Addis Ababa and Berlin, as well as academics, artists, and specially invited guests. The lectures were organised as part of a ten-week residency by the Institut für Raumexperimente, Berlin University of the Arts, at the Alle School of Fine Arts and Design, Addis Ababa University – an intense programme of artistic exchange and educational collaboration that culminated in a three-day marathon of art events at Jan Meda Park, in Addis Ababa. Designer: Vina Rostomyan Editors: Geoffrey Garrison, Anna Engberg-Pedersen, Kristina Köper Publisher: Institut für Raumexperimente e.V., Berlin, Germany Language: Amharic / English Dimensions: 262 pages ISBN: 978-3-00-048972-3 Ethiopian edition. International edition coming soon. 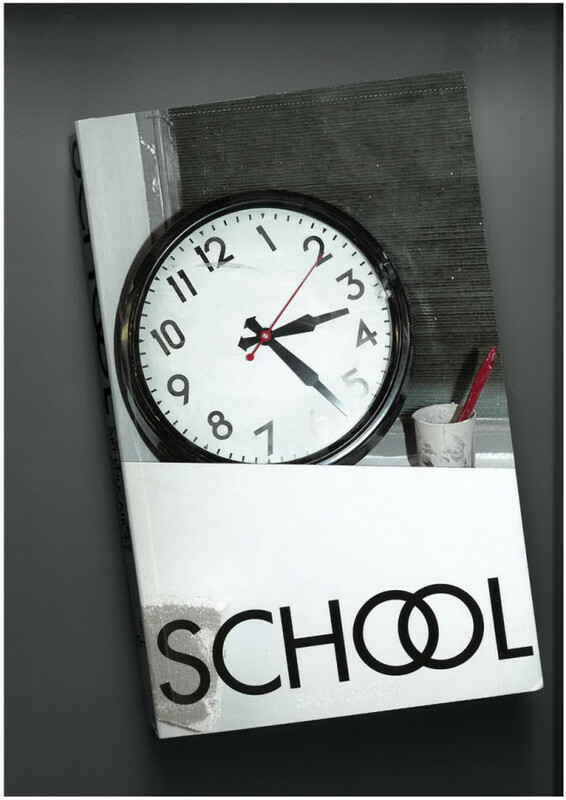 Das vorliegende Buch umfasst vier Vorträge, die Olafur Eliasson vor Studierenden aus Addis Abeba und Berlin als auch für Lehrende, Künstler und geladene Gäste im November und Dezember 2012 in Addis Abeba hielt. 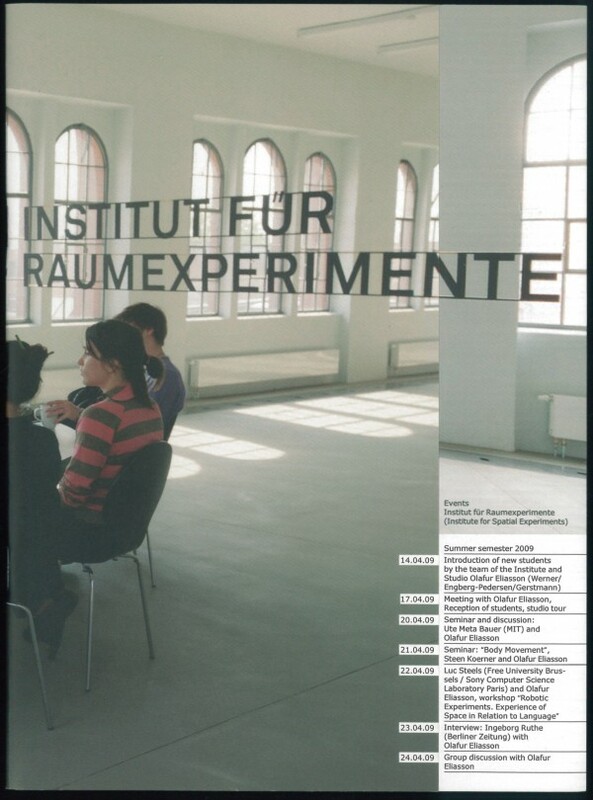 Die Vorträge wurden im Rahmen des zehn-wöchigen Aufenthalts des Instituts für Raumexperimente, Universität der Künste Berlin an der Alle School of Fine Arts und Design, Addis Ababa University organisiert – ein intensives Programm des künstlerischen Austauschs und der pädagogische Zusammenarbeit, das seinen Höhepunkt in einem drei-tägigen Kunstfestival im Jan Meda Park in Addis Abeba fand. Grafikdesign: Vina Rostomyan Lektorat: Geoffrey Garrison, Anna Engberg-Pedersen, Kristina Köper Herausgeber: Institut für Raumexperimente e.V., Berlin, Germany Sprachen: Amharrisch / Englisch Umfang 262 Seiten ISBN: 978-3-00-048972-3 Auflage für Äthiopien. International Ausgabe in Vorbereitung. Alphabet	False Friends and Babeltrack	It's me	Ambassel	Husbands of My Dear Country	A-B-A-B-A : from hear to here features recordings of a series of experimental live performances which took place in Berlin in July 2014. 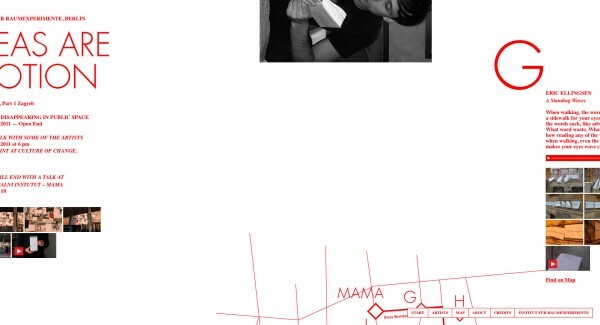 Blending structures of listening, playing and translating, the CD documents the concert and poetry night realised together with Palais Wittgenstein in Roter Salon at the Volksbühne Berlin. 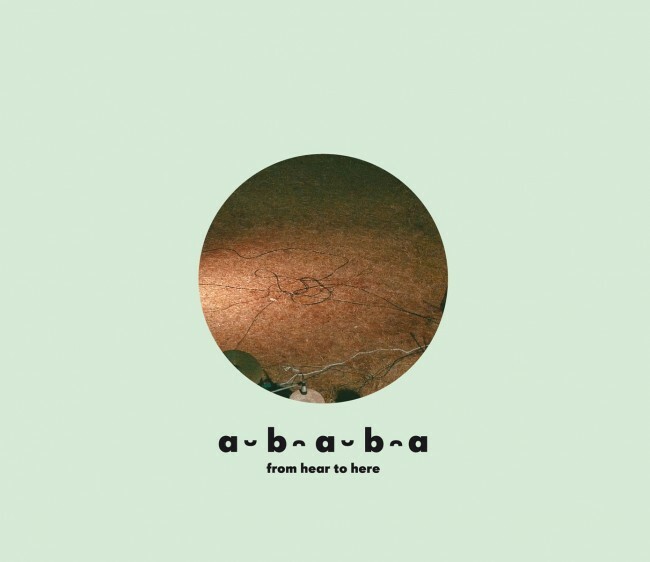 Spanning Amharic, English and German, the album a-b-a-b-a : from hear to here includes poems, performances, translations and sounds by the following poets, musicians and translators: Eric Ellingsen (poet/writer, Berlin/US), Mihret Kebede (poet, Addis Ababa), Robert Lippok (musician, Berlin), Abebaw Melaku (poet, Addis Ababa), Jorga Mesfin (musician, Addis Ababa), Rike Scheffler (poet, Berlin), Misrak Terefe (poet, Addis Ababa), Uljana Wolf (poet/translator, Berlin). Tracks 1. I’m in performed by Eric Ellingsen, Mihret Kebede, Abebaw Melaku, and Misrak Terefe 2. All Here’s / አሜን Amen – A Blessing poem written and performed by Eric Ellingsen / blessing performed by Mihret Kebede, accompanied by Abebaw Melaku and Misrak Terefe 3. Ethio Jazz introduction by Jorga Mesfin (saxophone) 4. ፊደል Alphabet / False Friends and Babeltrack performed by Mihret Kebede, Abebaw Melaku, Jorga Mesfin (piano), and Misrak Terefe / performed by Uljana Wolf 5. እኔ ነኝ It’s Me poem written and performed by Abebaw Melaku, accompanied by Mihret Kebede, Robert Lippok (live electronics), Jorga Mesfin (piano), and Misrak Terefe 6. አምባሰል Ambassel saxophone solo performed by Jorga Mesfin 7. False Friends introduction by Uljana Wolf 8. False Friends poem written and performed by Uljana Wolf 9. አቃጅ / The Planner poem by Mihret Kebede, translated by Uljana Wolf; performed by Mihret Kebede and Uljana Wolf 10. የሀገሬ ባሎች / Husbands of My Dear Country poem by Mihret Kebede, translated by Eric Ellingsen, Jorga Mesfin, and Uljana Wolf; performed by Mihret Kebede and Uljana Wolf, accompanied by Jorga Mesfin (piano) 11. Murmur poem written and performed by Eric Ellingsen, accompanied by Robert Lippok (live electronics) and Jorga Mesfin (piano) 12. አድዋ Adwa poem written and performed by Abebaw Melaku, accompanied Mihret Kebede, Robert Lippok (live electronics), Jorga Mesfin (saxophone), and Misrak Terefe 13. እንቁጣጣሽ / Enkutatash poem by Misrak Terefe, translated by Rike Scheffler; performed by Misrak Terefe and Rike Scheffler, accompanied by Mihret Kebede, Abebaw Melaku, and Jorga Mesfin (piano) 14. angenommen aber poem written and performed by Rike Scheffler, accompanied by Robert Lippok (live electronics) 15. Honey, I’m home poem written and performed by Rike Scheffler, accompanied by Misrak Terefe 16. Jan Meda by Robert Lippok (live electronics) and Jorga Mesfin (saxophone) 17. Twisted poem written and performed by Eric Ellingsen, accompanied by Robert Lippok (live electronics) 18. እስከማዕዜኑ / Up to the End poem by Abebaw Melaku, translated by Eric Ellingsen and Jorga Mesfin; performed by Abebaw Melaku and Eric Ellingsen, accompanied by Mihret Kebede, Jorga Mesfin (saxophone), and Misrak Terefe 19. Heart poem by Eric Ellingsen, performed by Eric Ellingsen, Mihret Kebede, Robert Lippok, Abebaw Melaku, Jorga Mesfin, Rike Scheffler, Misrak Terefe, and Uljana Wolf Album: a-b-a-b-a : from hear to here; CD: 19 tracks, 70 min; Recorded and mixed by Robert Lippok; Mastered by Bo Kondren at Calyx Mastering Berlin; Manufactured by Gusstaff Records; Graphic design by Basics09; Produced by Christina Werner & Robert Lippok & Institut für Raumexperimente, UdK Berlin; 2015 — A-B-A-B-A : from hear to here is part of Acting Archives, a project by the Institut für Raumexperimente, Berlin University of the Arts and the Alle School of Fine Arts and Design, Addis Ababa University, supported by Studio Olafur Eliasson, and funded by the TURN Fund of the German Federal Cultural Foundation. ﻿ Alphabet	False Friends and Babeltrack	It's me	Ambassel	Husbands of My Dear Country	A-B-A-B-A : from hear to here präsentiert Aufnahmen einer experimentellen Live-Performance, die im Juli 2014 in Berlin stattfand. Die CD dokumentiert diesen Poesie-Konzertabend, der in Zusammenarbeit mit Palais Wittgenstein im Roten Salon der Volksbühne Berlin realisiert wurde und auf Formen von Zuhören, Improvisieren und Übersetzen basiert. Das Album a-b-a-b-a : from hear to here umfasst Gedichte, Performances, Übersetzungen und Vertonungen auf Amharisch, Deutsch und Englisch und stellt die folgenden Dichter, Musiker und Übersetzer vor: Eric Ellingsen (Dichter/Autor, Berlin/US), Mihret Kebede (Dichterin, Addis Abeba), Robert Lippok (Musiker, Berlin), Abebaw Melaku (Dichter, Addis Abeba), Jorga Mesfin (Musiker, Addis Abeba), Rike Scheffler (Dichterin, Berlin), Misrak Terefe (Dichterin, Addis Abeba), Uljana Wolf (Dichterin/Übersetzerin, Berlin). Titel 1. I’m in vorgetragen von Eric Ellingsen, Mihret Kebede, Abebaw Melaku und Misrak Terefe 2. All Here’s / አሜን Amen – A Blessing Gedicht verfasst und vorgetragen von Eric Ellingsen / vorgetragen von Mihret Kebede, begleitet von Abebaw Melaku und Misrak Terefe 3. Ethio Jazz introduction von Jorga Mesfin (Saxophon) 4. ፊደል Alphabet / False Friends and Babeltrack vorgetragen von Mihret Kebede, Abebaw Melaku, Jorga Mesfin (Klavier), und Misrak Terefe / vorgetragen von Uljana Wolf 5. እኔ ነኝ It’s Me Gedicht verfasst und vorgetragen von Abebaw Melaku, begleitet Mihret Kebede, Robert Lippok (Live-Electronics), Jorga Mesfin (Klavier) und Misrak Terefe 6. አምባሰል Ambassel Saxophon-Solo von Jorga Mesfin 7. False Friends introduction von Uljana Wolf 8. False Friends Gedicht verfasst und vorgetragen von Uljana Wolf 9. አቃጅ / The Planner Gedicht von Mihret Kebede, übersetzt von Uljana Wolf; vorgetragen von Mihret Kebede und Uljana Wolf 10. የሀገሬ ባሎች / Husbands of My Dear Country Gedicht von Mihret Kebede, übersetzt von Eric Ellingsen, Jorga Mesfin, und Uljana Wolf; vorgetragen von Mihret Kebede und Uljana Wolf, begleitet Jorga Mesfin (Klavier) 11. Murmur Gedicht verfasst und vorgetragen von Eric Ellingsen, begleitet von Robert Lippok (Live-Electronics) und Jorga Mesfin (Klavier) 12. አድዋ Adwa Gedicht verfasst und vorgetragen von Abebaw Melaku, begleitet von Mihret Kebede, Robert Lippok (Live-Electronics), Jorga Mesfin (Saxophon) und Misrak Terefe 13. 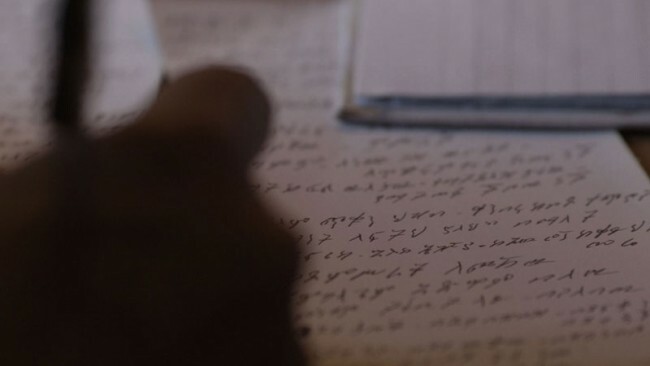 እንቁጣጣሽ / Enkutatash Gedicht von Misrak Terefe, übersetzt von Rike Scheffler; vorgetragen von Misrak Terefe und Rike Scheffler, begleitet von Mihret Kebede, Abebaw Melaku und Jorga Mesfin (Klavier) 14. angenommen aber Gedicht verfasst und vorgetragen von Rike Scheffler, begleitet von Robert Lippok (Live-Electronics) 15. Honey, I’m home Gedicht verfasst und vorgetragen von Rike Scheffler, begleitet von Misrak Terefe 16. Jan Meda von Robert Lippok (Live-Electronics) und Jorga Mesfin (Saxophon) 17. Twisted Gedicht verfasst und vorgetragen von Eric Ellingsen, begleitet von Robert Lippok (Live-Electronics) 18. እስከማዕዜኑ / Up to the End Gedicht von Abebaw Melaku, übersetzt von Eric Ellingsen und Jorga Mesfin; vorgetragen von Abebaw Melaku und Eric Ellingsen, begleitet von Mihret Kebede, Jorga Mesfin (Saxophon) und Misrak Terefe 19. Heart Gedicht von Eric Ellingsen, vorgetragen von Eric Ellingsen, Mihret Kebede, Robert Lippok, Abebaw Melaku, Jorga Mesfin, Rike Scheffler, Misrak Terefe und Uljana Wolf Titel: A-B-A-B-A : from hear to here; CD: 19 Titel, 70 min; Aufnahme: Robert Lippok; Mastering: Bo Kondren bei Calyx Mastering Berlin; Produziert von Gusstaff Records; Grafikdesign von Basics09; Herausgegeben von Christina Werner & Robert Lippok & Institut für Raumexperimente, UdK Berlin; 2015 — A-B-A-B-A : from hear to here entstand im Rahmen von Acting Archives, einem Projekt des Instituts für Raumexperimente der Universität der Künste Berlin und der Alle School of Fine Arts and Design, Addis Ababa University, unterstützt durch Studio Olafur Eliasson, gefördert im Fonds TURN der Kulturstiftung des Bundes. filmstill from A-B-A-B-A: from hear to here by Clara Jo	Compiled by Eric Ellingsen including contributions by Misrak Terefe, Rike Scheffler, Abebaw Melaku, Jorga Mesfin, Mihret Kebede and Uljana Wolf. Published in World Literature Today, January-February 2015. Read more about it here or download PDF. filmstill from A-B-A-B-A: from hear to here by Clara Jo	Zusammengestellt von Eric Ellingsen mit Beiträgen von Misrak Terefe, Rike Scheffler, Abebaw Melaku, Jorga Mesfin, Mihret Kebede und Uljana Wolf. Veröffentlicht in World Literature Today, Januar-Februar 2015. Hier weiterlesen oder PDF herunterladen. 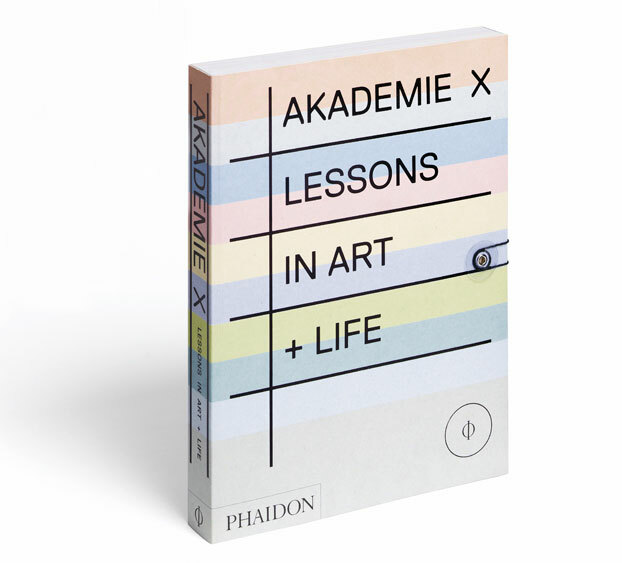 LOVE LETTER from us A contribution by Olafur Eliasson, Eric Ellingsen and Christina Werner in AKADEMIE X – Lessons in Art + Life, Phaidon 2015 Download PDF. 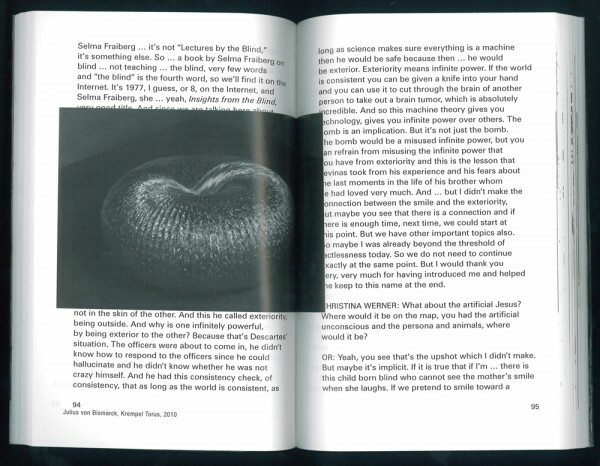 LOVE LETTER from us Ein Beitrag von Olafur Eliasson, Eric Ellingsen und Christina Werner in AKADEMIE X – Lessons in Art + Life, Phaidon 2015 PDF herunterladen. Olafur Eliasson, Eric Ellingsen and Christina Werner in conversation with Nico Dockx. In the double publication Contradictions. Royal Academy of Fine Arts Antwerp 2013-1663. Pro-Positions: Art and / as Education. 2363-2013. Els De bruyn, Nico Dockx & Johan Pas (eds. 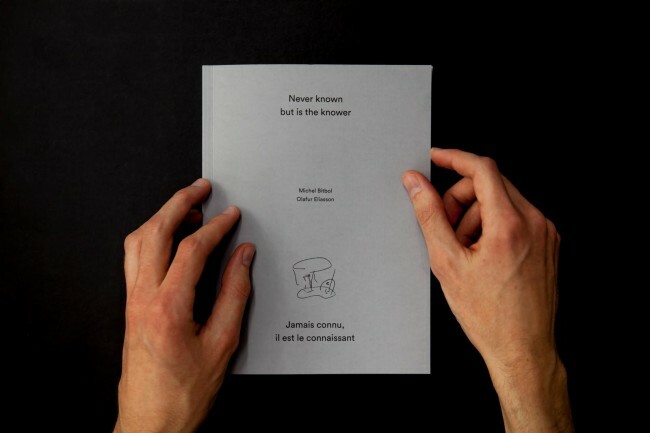 ), published by MER.PaperKunsthalle, 2014. 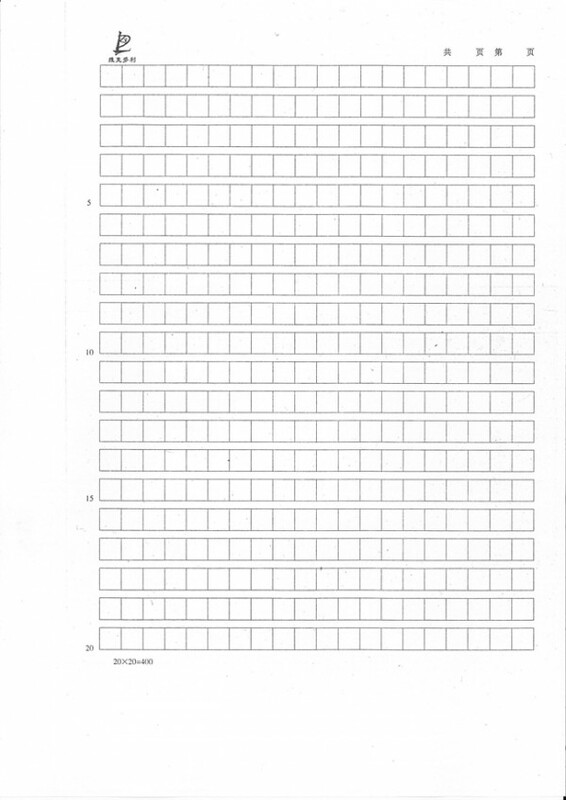 Download PDF. Olafur Eliasson, Eric Ellingsen and Christina Werner in conversation with Nico Dockx. In the double publication Contradictions. Royal Academy of Fine Arts Antwerp 2013-1663. Pro-Positions: Art and / as Education. 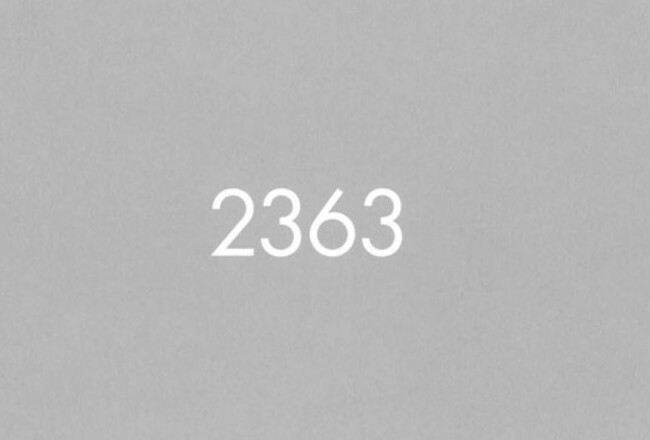 2363-2013. Els De bruyn, Nico Dockx & Johan Pas (eds. 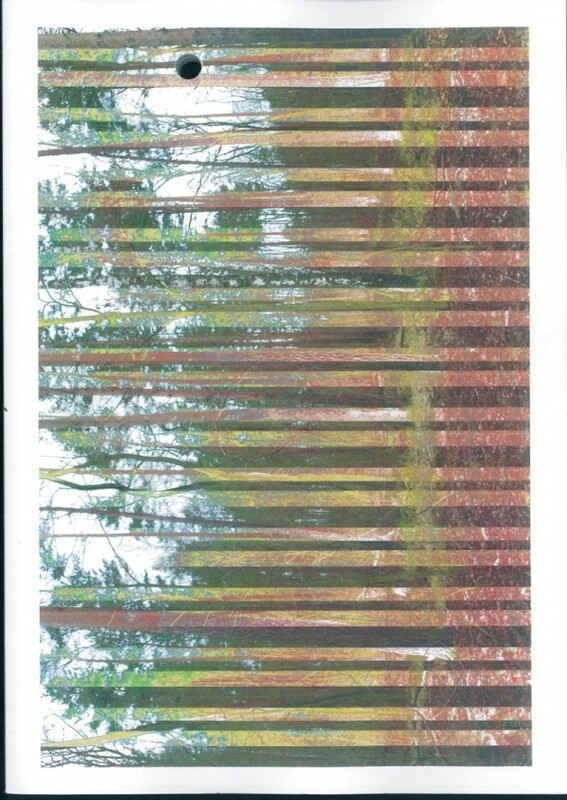 ), published by MER.PaperKunsthalle, 2014. Download PDF. Spontaneous Book: 06.01.2010 / 14:07 >>>> 08.01.2010 / 16:22 Edited by Institut für Raumexperimente, Universität der Künste Berlin Berlin: Verlag der Universität der Künste Berlin, 2010 The spontaneous book series seeks to engage in a group thinking and doing process that produces a result in a short period of time: capturing, processing and producing content simultaneously. Spontaneous Book: 06.01.2010 / 14:07 >>>> 08.01.2010 / 16:22, on the occasion of a 3-day workshop that included exercises such as walks in public spaces, perception and time experiments, a studio visit with graphic designer and artist Andreas Koch, editorial board meetings on the topic of magazine making and a lecture and presentation by Beatriz Colomina on her recently audience-transcripted project Clip/Stamp/Fold: the Radical Architecture of Little Magazines, 196x-197x. 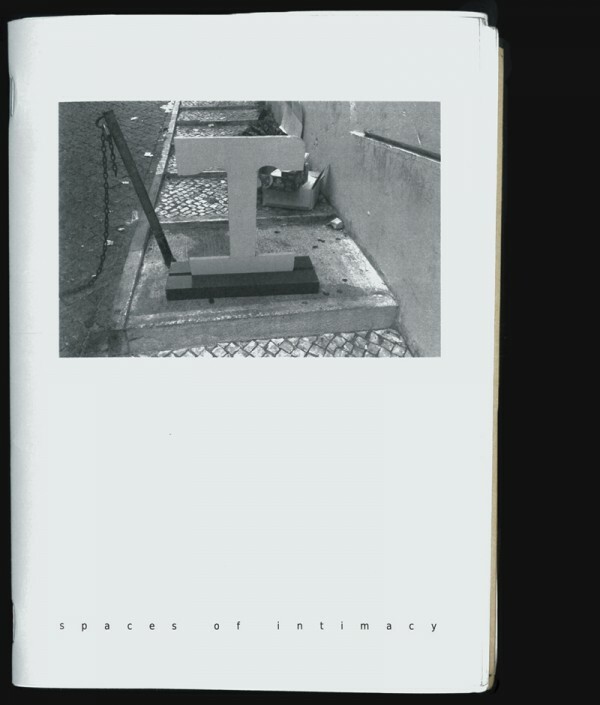 Spontaneous book: 06.01.2010 / 14:07 >>>> 08.01.2010 / 16:22 Herausgeber: Institut für Raumexperimente, Universität der Künste Berlin Berlin: Verlag der Universität der Künste Berlin, 2010 Die Reihe der spontaneous books soll einen kollektiven Prozess des Denkens und Handels befördern, der innerhalb kurzer Zeit ein Ergebnis produziert: das gleichzeitige Erfassen, Verarbeiten und Produzieren von Inhalten mündet in einem Publikationsformat. Spontaneous Book: 06.01.2010 / 14:07 >>>> 08.01.2010 / 16:22 entstand anlässlich eines dreitägigen Workshops, der verschiedene Experimente zu Wahrnehmung und Zeit, Walks im öffentlichen Raum, einen Besuch im Studio des Künstlers und Grafikdesigners Andreas Koch, Treffen der Redaktion und einen Vortrag von Beatriz Colomina über ihr aktuelles Projekt Clip/Stamp/Fold: the Radical Architecture of Little Magazines, 196x-197x beeinhaltete.